Hi from Amsterdam---I don't know Richmond at all well, but I'd think that has to be the city! Richmond is a very good guess. However, while Richmond had a ton of prisons, I'm not sure as any of them are still standing. 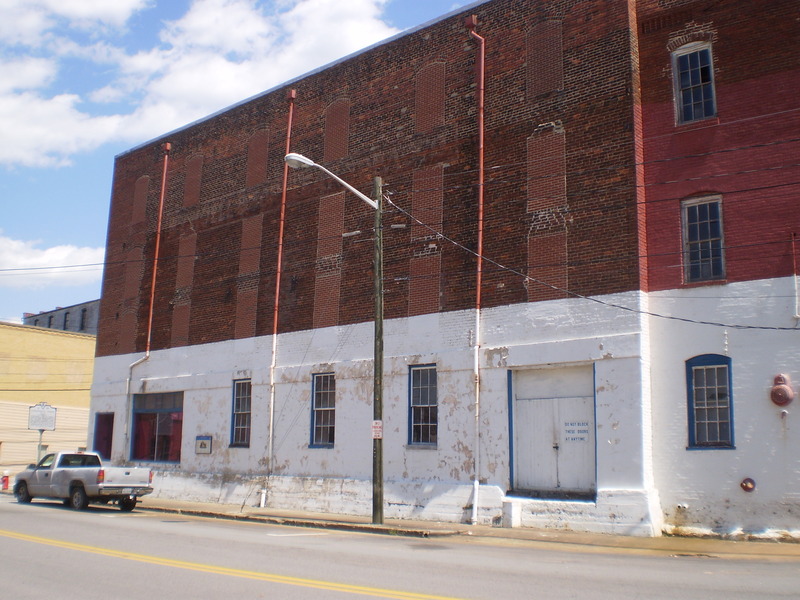 When I was living in Richmond back in 1990-91 I lived in a building that had been built in the late 19th century as a warehouse. It was right near where one of the major prisons (Libby) had been. But as I recall hearing at the time (this was before I became obsessed with issues of race and legal history, so I wasn't as focused on this as I would be now) all the prisons in that area had been taken down decades before. You've got the state right. Thais is in Virginia. I guess acknowledging that this is in Virginia will make it pretty obvious where this is, because there weren't a ton of cities in Virginia during The War that were large enough to have buildings of this size. I can think of only five or six (maybe seven, ok, eight). But there weren't many that had buildings this size and were far enough away from the front lines to make sense as a prison. Is it in Danville? 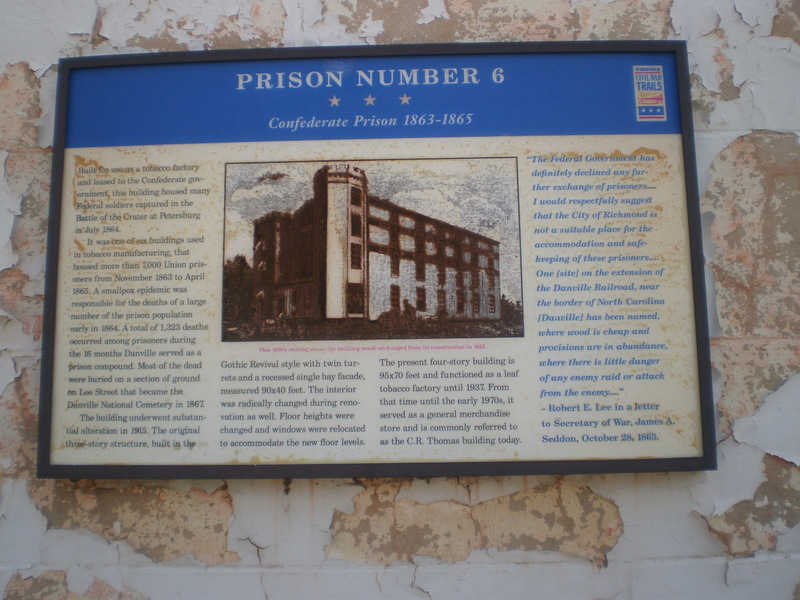 I know there were prisons in old tobacco warehouses in Danville at least one of which survives. The building looks right architecturally as does the general state of the area. Not a lot going on in Danville these days (it is a short jaunt up US 29 from my hometown of Greensboro). It is Danville, Brian. Very nicely done. After the War the building was modified dramatically and I think they may have added an entire floor (you can see the differences in kinds of brick on the upper floor).